Before the operation, you should start the mixer machine no-load operation. Make sure that the direction of rotation of the agitator or blades is the same as the direction indicated by the arrow on the cylinder. 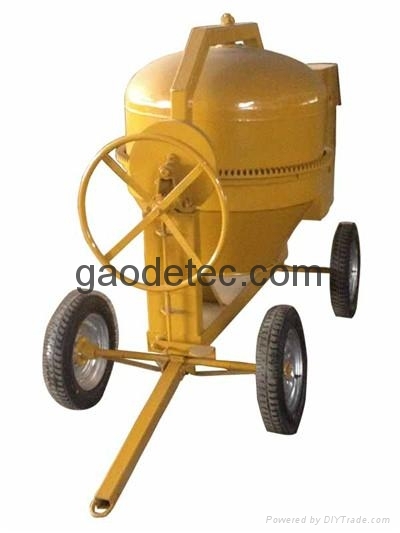 For reversing the discharge of the mixer, the mixing cylinder should be positive and reverse run for several minutes, and should be no impact jitter phenomenon and abnormal noise. After the start of the small concrete mixer, the stirring cylinder should be reached after the normal number of revolutions. Water should be added in time. Each time the mixing material is not allowed to exceed the rated capacity of the mixer and the material sticky tank phenomenon should be reduced. The order of addition should be stone - cement - sand or order should be sand - cement - stone. Operation, should observe the operation of the machinery, when there is abnormal or bearing temperature rose too high, it should stop inspection; when the need for maintenance, the mixing cylinder should be clear the concrete, and then overhaul. After the operation, the diesel mixer machine should be fully cleaned.